App development relies on highly specific, highly technical language, which is great for accuracy but not always ideal for the everyday person. For example, we utilize Feature-Driven Development, which is defined below. We hope this glossary helps you feel more confident and knowledgeable when discussing app development. Tip: Use Find (command-f or ctrl+f) to search for specific terms or keywords. Technical details, written as yes/no questions, that let development and testing/QA understand what constitutes a complete item. Agile is based around ceremonies, or meetings, to accomplish a specific task. Sprint Retrospective, Backlog Grooming, and Sprint Planning, are three examples of an agile ceremony. Operating system that uses GooglePlay as its app store. The binary file for Android & GooglePlay. A living document that puts irreducible items outlining feature and other requests for you app in rank-order by following a specific format. Each request that is entered into the backlog and ranked for priority. The assumption that any team member can make changes that affect the app’s functioning. This can be to implement features, fix bugs, or some other need. Also called iterative development, this is where you eliminate time between writing a line of code and making that available to users. Agile users sprints and iterative development to build “early, often, and continuously”. A highly important statistic that measures the number of users that are coming to your app every day. 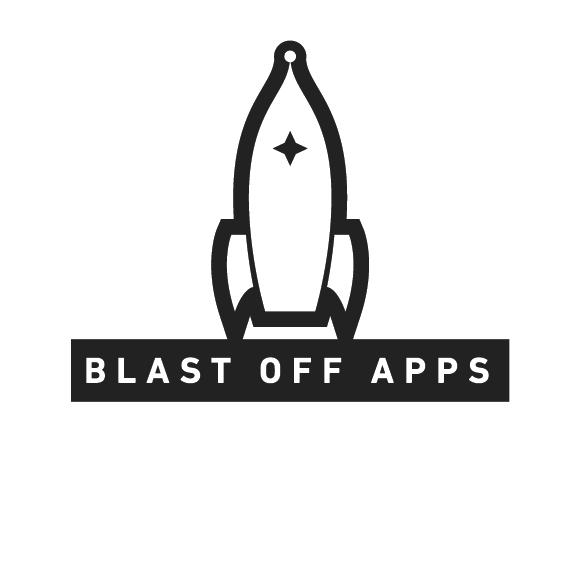 Blast Off Apps’ developer that represents and leads the development efforts required. This person has experience in development, can pitch in & work around issues, as well as lead development in their daily tasks for completing any sprint. This is a core team member in our Mission Command membership that we provide as part of your payment. In agile development is when all the agreed upon code and other tasks have been completed by satisfying all of the acceptance criteria for items in a given sprint. All design, coding, testing and documentation have been completed and the increment is fully integrated into the system. A long user story that CANNOT be delivered as stated in a single iteration. This is because it is not in irreducible form. Each sprint is estimated for how large it is. The estimation process allows you to not overload development and gives the team a way to improve over time in their accuracy and effectiveness. Operating system for iPhone & iPad apps. From the backlog, items are each piece of the backlog. Developing the app or other software in a way that builds the app in small sprints. This allows you to build the app over time as your budget allows, building in user requests quickly and seamlessly alongside the development requests from the team to reach their full vision. A programming language that is the native code for Android operating system. This is an object-oriented language. The number of users using your app at least once per month. Apps written in the language of the operating system. Native apps allow you the ability to directly control the phone’s functionality such as the camera, gyroscope, etc... as well as act faster than non-native apps because there is no “translating” step needed when functioning. A language to write code that focuses on objects. Objects have both data and functions and can be individually selected and manipulated by coders. person whom holds the vision for the product and is responsible for maintaining, prioritizing and making sure the backlog is up-to-date. This is ultimately our members at Blast Off Apps, with guidance and help from our experts while you learn the ropes and what is required to be a good product owner. A form of agile development that uses SCRUM master and Product owner. facilitator for the team and product owner. Anyone that has vested interest in a given sprint. This can included users, business owners, team members, and more. An agile ceremony that puts items into a sprint and finalizes it. This ceremony allows the full team to get on the same page and confirm the items that are to be developed in the next sprint. After a sprint, this agile ceremony allows the team to better estimate, plan, and develop future sprints by reviewing what happened and making sure everything as was requested. Someone who provides direction, instructions, and guidance to the team. This person is responsible for making sure everyone has everything they need to accomplish the tasks in the backlog and each sprint. An item in the backlog that is stated in a specific way to convey a request to the team. For example Blast Off Apps uses the system “As a…” “I want to….” “in order to….”. An example story would be, “ As a user, I want to go to Blast Off Apps’ website and see a glossary of common agile terms in order to better understand the agile process”. an integrated development environment (IDE) for macOS containing a suite of software development tools developed by Apple for developing software for macOS, iOS, watchOS, and tvOS. This is required to submit to Apple’s app store.